Track 01 - 07 Produced by K Caruso. Track 08 - 14 Produced by Stoney Curtis. 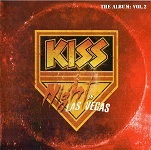 Recorded at Desert Moon Studios, Las Vegas NV. Recording and Mixing Engineer : Alistair James. Additional Engineering by K Caruso. 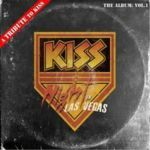 Kiss Night in Las Vegas is a non-profit project founded to raise funding and awareness for struggling public school music programs.